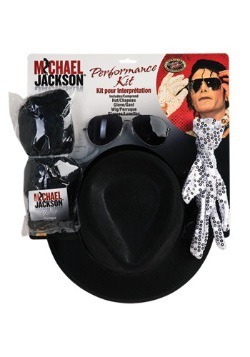 When you are the king of pop, you get to set your own trends. Anything you do might turn into a trend. That's the beauty of your fame, you're practically too big to fail. If we were to wear only one glove around, it might be weird. People would look at us and think: "Why does that person only need one glove? What can you possibly do that requires a glove on one hand and nothing on the other?" But, when this pop star decides to wear only one glove, it suddenly becomes an iconic look that the whole world can appreciate. When you dress up as this pop star, you'll be able to set your own trends. Are you looking to bell bottoms back in style? That won't even be a challenge for you, you'll be able to start that trend with ease. Just wear bell bottoms one day, and you'll see them in all of the storefronts the next. 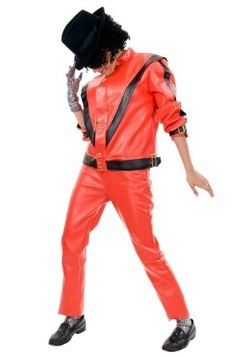 This costume will have you ready to jump up on stage and dance. You'll be wearing a black dress with gold accents and faux gold buttons. 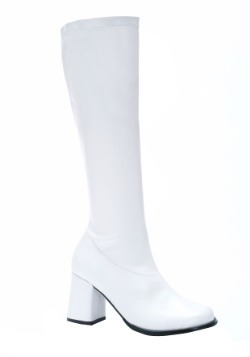 You'll be wearing shimmering knee high socks, a trend we expect to see picking up soon here, and a single glove. Wearing a single glove is your calling card, and is essential to the costume because of it! Last but not least, you'll be wearing a black hat. Costumes like this are one of a kind! 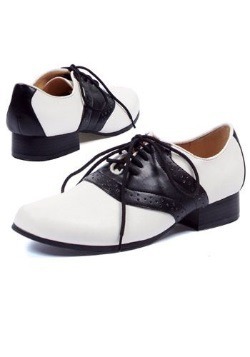 The only thing more iconic than your sense of fashion is your dancing. Make sure you have your twirls, spins, and walks nailed down before you head out on the town. People are going to expect you to bust a move, and you won't want to disappoint!